The uncle of the 19-year-old who was fatally shot by a police officer in Madison, Wisconsin, over the weekend said that his nephew "just wanted to be loved." 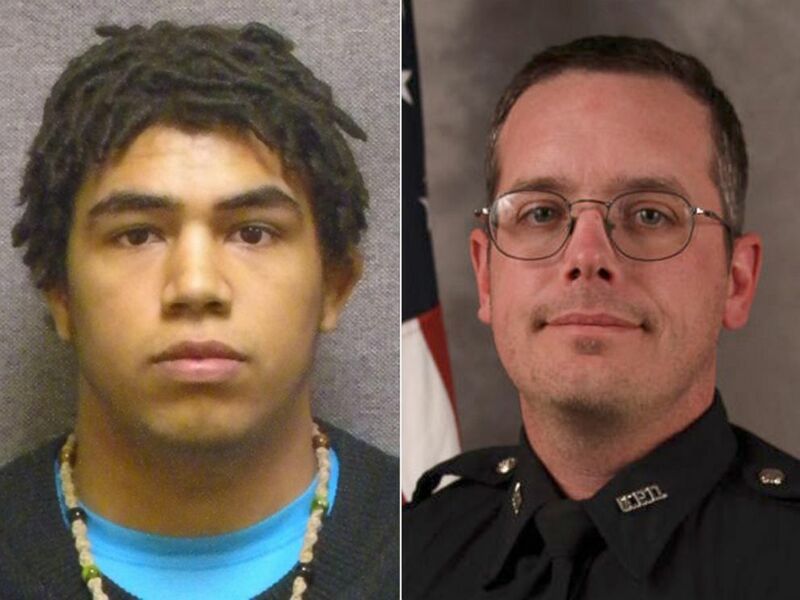 Tony Robinson Jr., who was known to his family as Tyrell, was fatally shot by a police officer on Friday and the incident is now the subject of a state Department of Justice investigation. Robinson's mother is white and his father is African American, and at a news conference this afternoon, Robinson's uncle, Turin Carter, spoke out on behalf of the family about how this is a universal issue that should be understood by people of all races. "A lot of his identity was formed because of his racial ambiguity," Carter said. "Tyrell felt a misfit for most of his life and that's why we became close," he said, while his sister -- Robinson’s mother -- stood behind him. Robinson’s death comes after a growing list of cases where unarmed teens were killed at the hands of white men, and Carter said that though the parallels to the shooting deaths of Trayvon Martin and Michael Brown are inevitable, there are significant differences because of his nephew’s mixed race. "I absolutely remember hashtagging Trayvon Martin and Michael Brown," Carter said of the outpouring on social media. "It’s surreal to realize that now my nephew is now a hashtag." "We don’t want to just stop at black lives matter. ... Tyrell is a mixture of everything. You can’t look at him and say he's black," Carter said. Carter thanked the droves of supporters who have been talking about the case on social media and attending rallies but urged all involved to make sure that they were not anti-law enforcement in their demonstrations. "We appreciate the police and we understand the necessity for them but once again that does not excuse what happened," Carter said. "It takes one bullet from a trained gunman to end a life -- it takes one bullet -- and we know how many were fired," Carter said. Police have not officially confirmed how many shots were fired. Madison Police Chief Mike Koval told ABC News that he spoke to Robinson’s grandmother on the night of the shooting but has been giving the family space. When asked what he would say to the teen’s grieving parents, he told ABC News: "I don’t have a good answer except to say I’m sorry." "I apologize for what has happened to their son, their grandson, their nephew, their friend, their family member, their sibling," Koval said. "I apologize to the community that we're all coping with this under these circumstances."